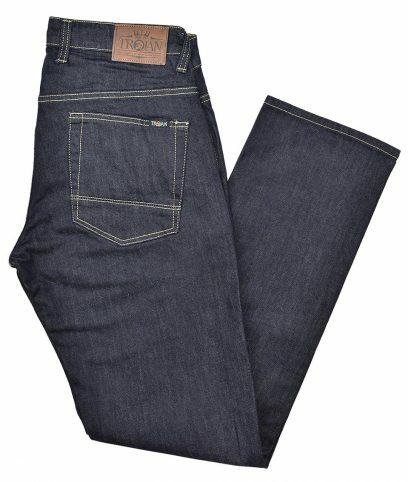 TR/8344 Easyfit stretch jeans by Trojan Records made from 98.5% cotton and 1.5% elastane in a regular fit. 5 pocket style denim jean with coin pocket. Trojan branded rivets and zip fly. Trim stitch detail to hem turn-up. Trojan tab label on pocket top. TR/8293 Easyfit jeans by Trojan Records made from 98% cotton and 2% elastane in a regular fit. 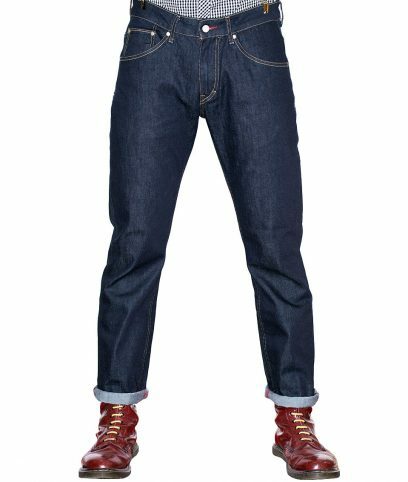 5 pocket style denim jean with coin pocket. Trojan branded rivets and zip fly. Trim stitch detail to hem turn-up.